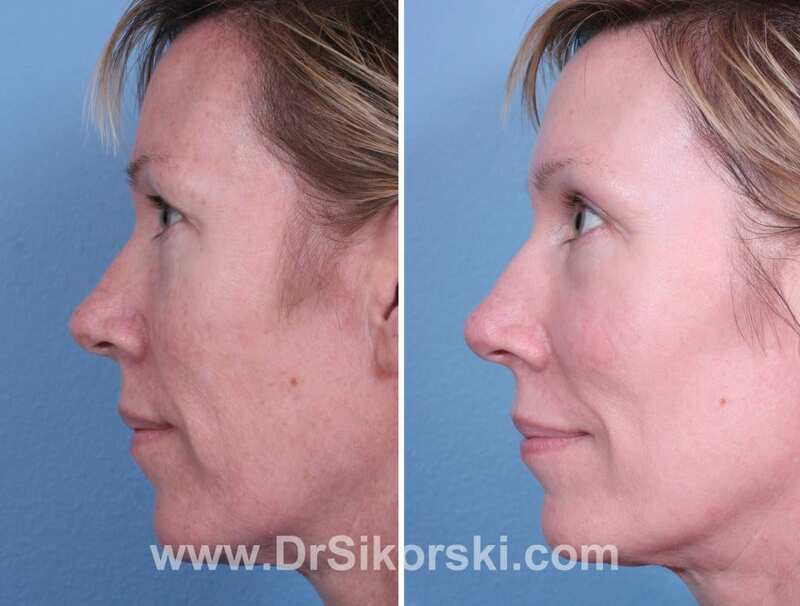 Bellafill is the first FDA-approved “permanent” filler. 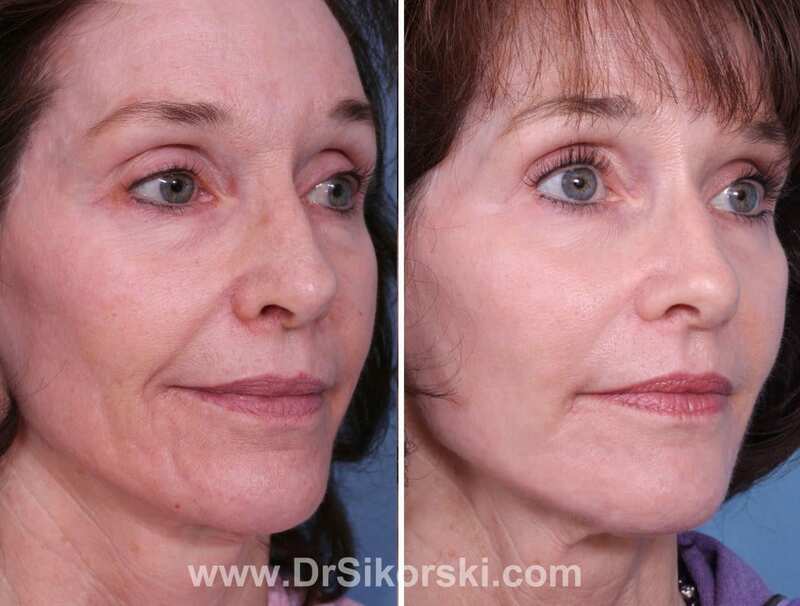 Typically used for deep facial folds, Bellafill will last indefinitely. 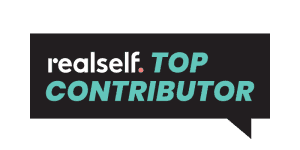 Patients who have used fillers previously are candidates forBellafill. 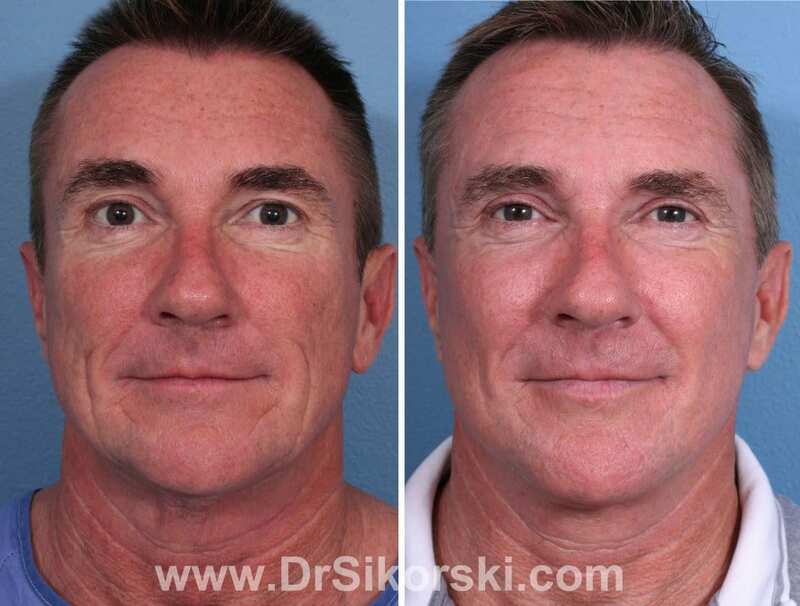 Because of the potential lifetime permanency, it is not usually recommended for first time filler patients. 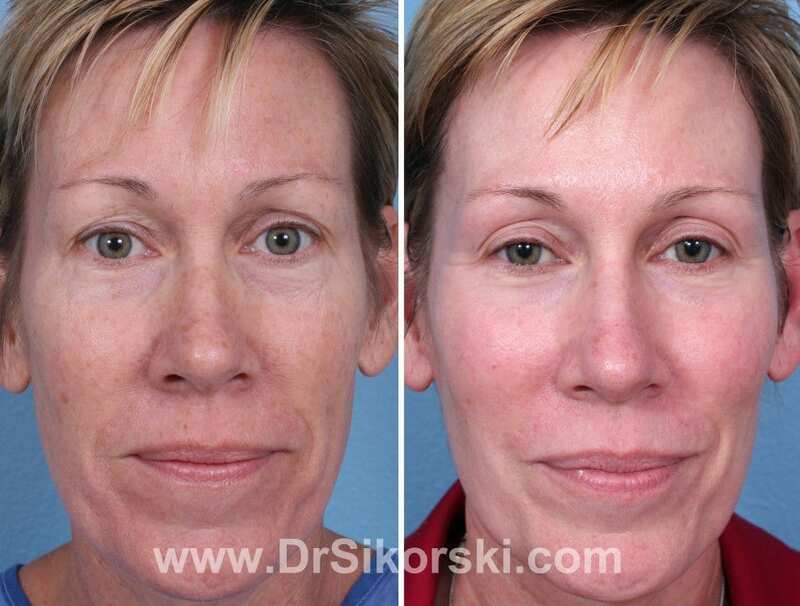 Dr. Sikorski has many patients who have opted for Bellafill for the nasolabial folds and have been very pleased with the results and longevity. Bellafill is made up of microscopic beads suspended in a collagen gel. 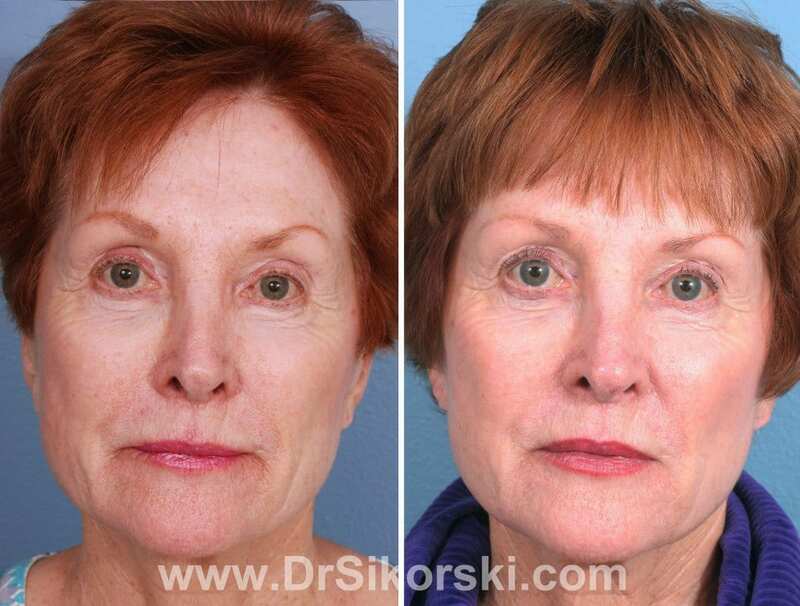 The collagen acts both as a carrier and an instant filler. The beads, made of PMMA, are not broken down by the body and remain in the skin. 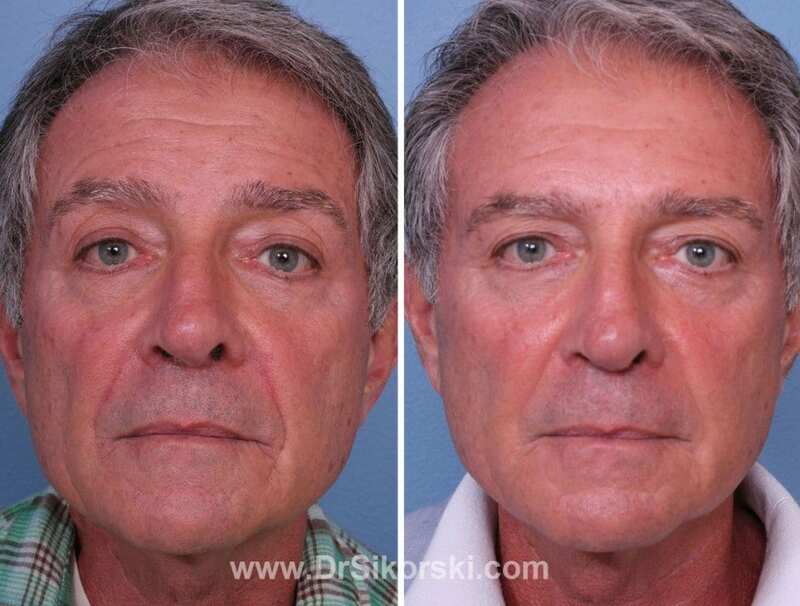 It is this unique quality that makesBellafill so different from every other filler. PMMA implantation is considered permanent. 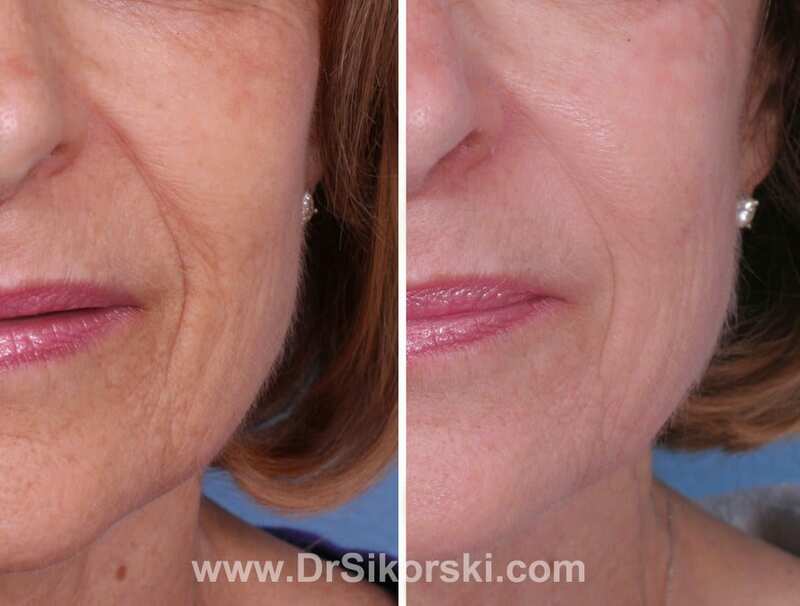 Within the first 1 to 3 months after treatment withBellafill, the bovine collagen vehicle degrades and is replaced with the body’s own new collagen tissue. This binds to and encapsulates the PMMA microspheres into place thus preventing migration. 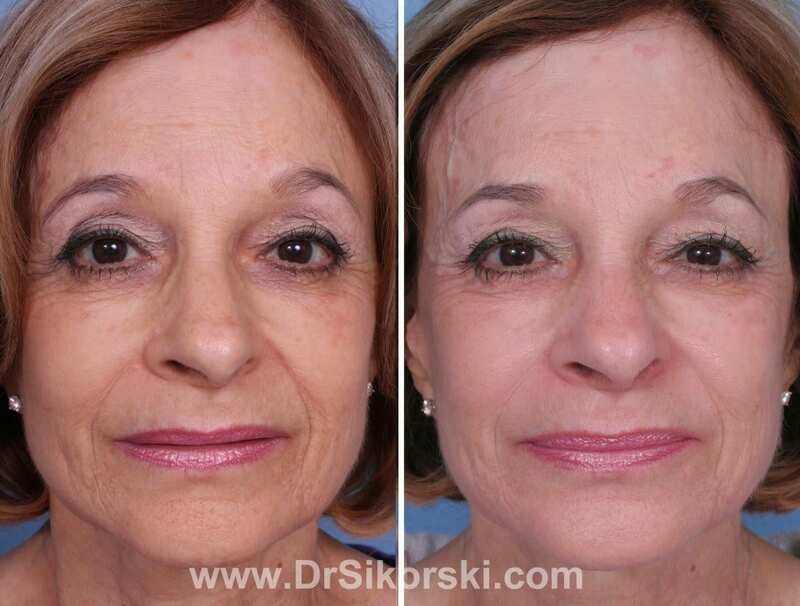 The full effect of the augmentation may not be seen until this process is complete.